It is CDR FoodLab®, the testing system that determines the oxidation state of bakery products, spreads and snacks. With CDR FoodLab®, the determination of the shelf life of bakery products, snacks and spreads does no longer require toxic solvents, complicated extraction processes, extractor hoods, or high costs for special waste disposal. CDR FoodLab® is compact and handy and can be used in any environment: either in a laboratory, or at the production plant, or upon sale/purchase of the product. Fast and intuitive, it provides results that are correlated with the reference methods. Solutions for ShelfLife bakery was last modified: September 11th, 2018 by CDR s.r.l. The CDR FoodLab® chemical analysis system for the determination of the shelf life of finished products can also be used to test any type of vegetable and animal fats and oils. Moreover, it can be configured to perform analyses on eggs and egg products, milk and dairy products, tomato and tomato derivatives. With CDR FoodLab®, thanks to a simple cold water extraction using a watery solution (CDR Extrafluid), it is possible to determine the shelf life of finished products in an easy and fast way, by monitoring the oxidation state and the rancidity of the oils contained in the products through regular tests of Acidity, Peroxide Valueand p-Anisidine. No risks for the operator are entailed and the environmental impact is reduced to a minimum. Thanks to the Multitasking Mode, it is possible to run the oxidation state test of bakery products, snacks and spreads in 5 minutes. 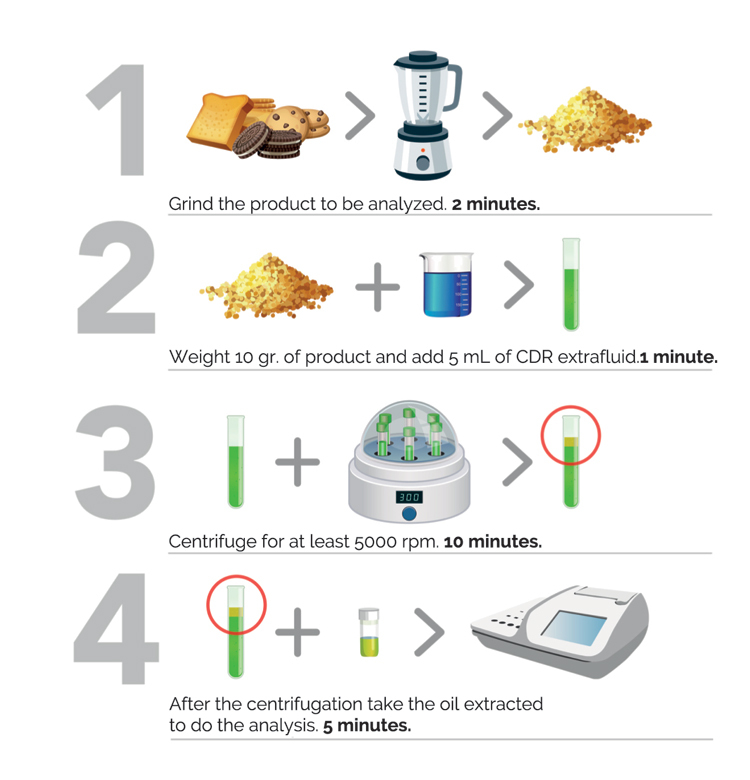 CDR FoodLab® is a true analysis laboratory. We have developed it to perform easy and fast chemical analyses even on the production line without the support of personnel with specific lab tech experience. CDR FoodLab® fine tunes traditional testing methods, making them faster and easier, while guaranteeing accuracy standards in line with the ISO/AOCS reference methods. 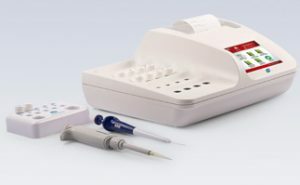 pipettes that allow for the collection of the correct volume of sample. Our device comes from a family of fast and reliable testing systems that we have developed and manufactured to perform food and beverage quality controls during the production process.